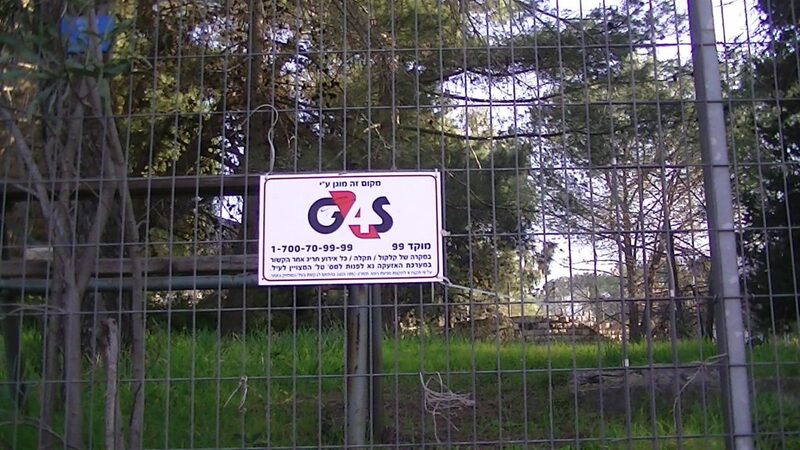 On 26th January 2013 Corporate Occupation/Corporate Watch took photos of G4S signs in the East Jerusalem settlement of Ramat Eshkol and Ramot Allon. 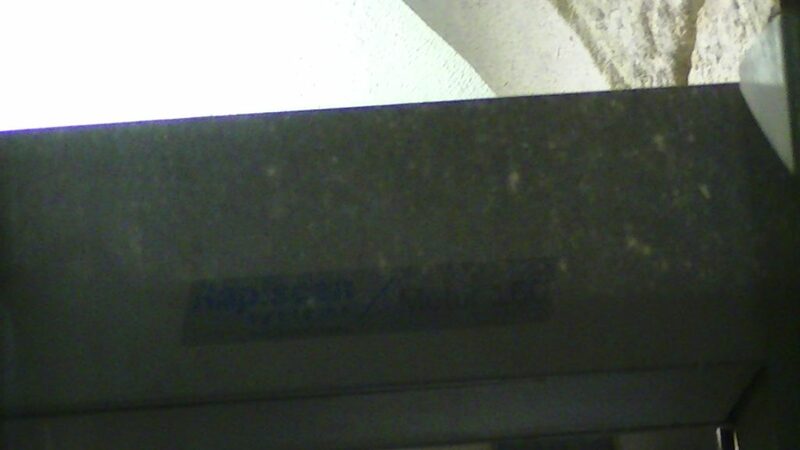 On 31st January Corporate Watch observed Rapiscan machines at both entrances to the Western Wall compound in East Jerusalem (Rapiscan’s Israeli representative is Hashmira, which is owned by G4S – for more info see here). 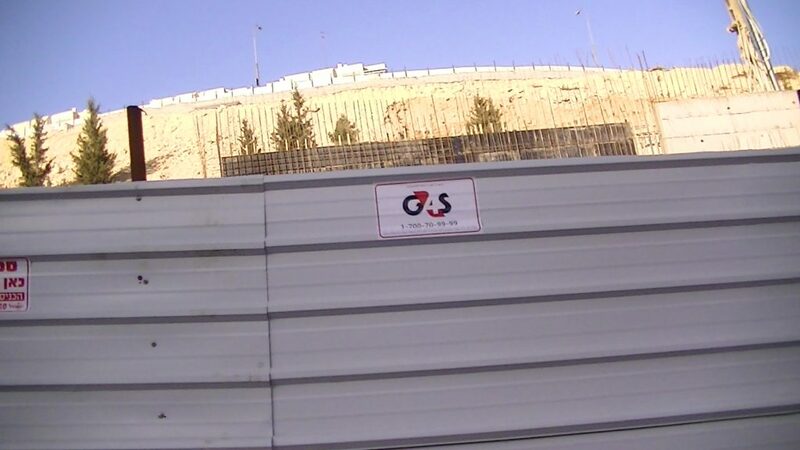 On 23rd January 2013 researchers photographed a G4S sign on equipment in use at at the Ohel Yitzhak synagogue in the Old City, East Jerusalem. 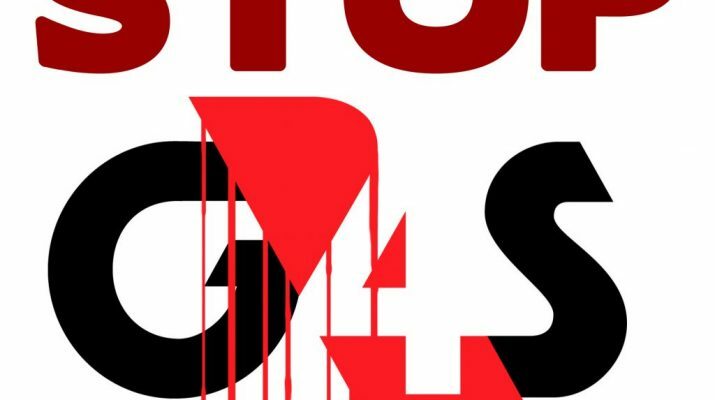 The Israeli government approved 606 housing units in the illegal settlement of Ramot in November 2012. 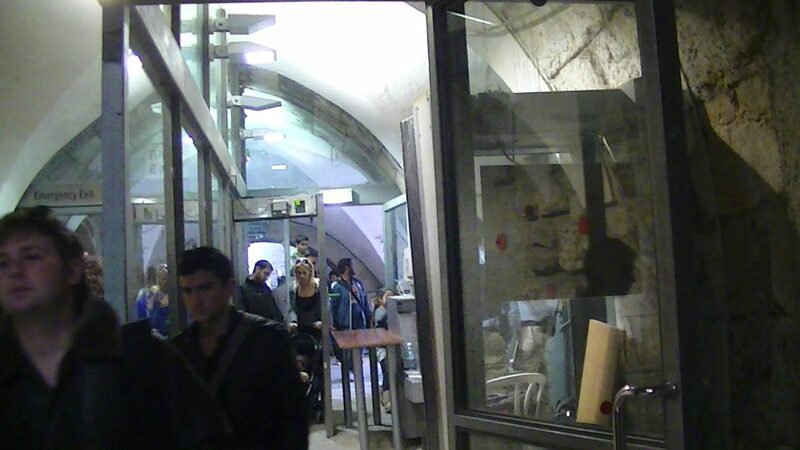 The area around the Western Wall is part of the territory illegally occupied by the Israeli military in 1967. The Western Wall plaza was created by bulldozing of 650 Palestinian homes in the Moroccan Quarter of the Old City. In nearby Silwan Palestinian homes have been demolished to make way for a national Park which is planned to create a link between the Western Wall complex and Silwan. 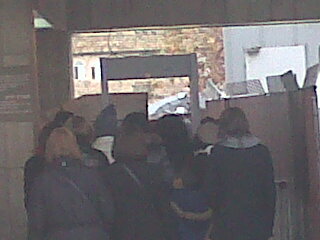 Excavations are being carried out by the Israeli authorities and a settler organisation called Elad. On Monday 28th January 2013 olive trees were uprooted and Palestinian land levelled before a court order to stop further demolitions was obtained (for more information see here). Almost 90 Palestinian homes in Silwan have been served demolition orders. The Ohel Yitzhak synagogue was built in the 1870s but was vacated in the 1930s. After 1967 the Zionist organisation Ateret Cohanim re-established the synagogue. 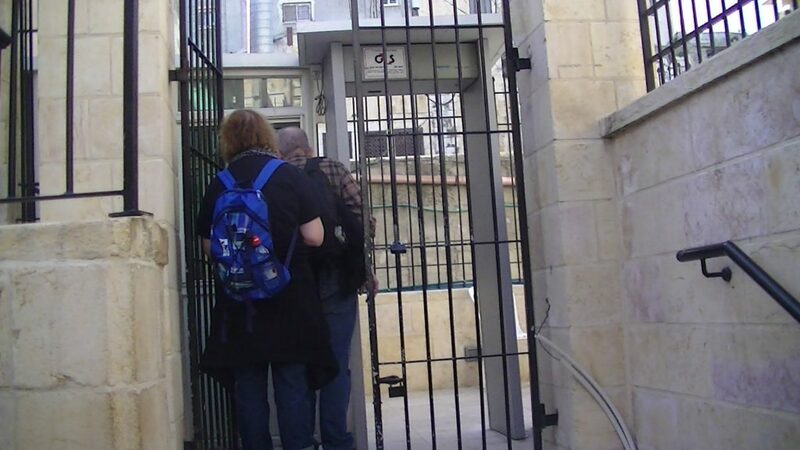 In 2010 Palestinians were evicted from another building in the Muslim quarter of the Old City of occupied East Jerusalem to make way for an Ateret Cohanim project. 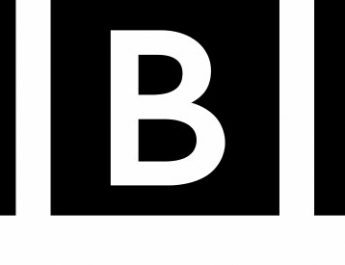 The organisation states that its mission is to ‘redeem land‘ in the Old City and its website hosts an article celebrating ‘dropping Arab fertility rates’ in ‘Judea and Samaria’. Ateret Cohanim has been accused of undertaking projects aimed at Judaizing East Jerusalem – For more information see here. 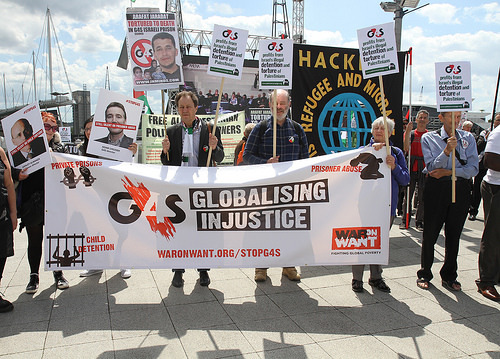 G4S is the largest security company in the world and the largest employer on the London Stock Exchange, operating in 125 countries worldwide. It provides a variety of services in 1948 Israel and the Occupied Territories including providing security for businesses in illegal Israeli settlements, providing equipment and maintenance services to military checkpoints in the West Bank and the Erez checkpoint in Gaza, providing equipment and maintenance services to all Israeli prisons in the West Bank and Israel (see http://www.whoprofits.org/sites/default/files/WhoProfits-PrivateSecurity-G4S.pdf).